Spotlight On Mike Adenuga: Why Is He Called “The Bull”? Adenuga was once a lowly Taxi driver in the United States; today he sits atop a multi-billion dollar Nigerian conglomerate spanning telecoms, energy and real estate. He is also one of the continent’s richest men, with a net worth of $4.3 billion. In Nigeria, Mike Adenuga is fondly referred to as ‘The Bull’ by associates, admirers, pundits and just about everyone else; not just because he was born under the Taurus zodiac sign, but because like a charging bull, he never backs down from a fight. And no other anecdote lays as much credence to Adenuga’s relentlessness than the Globacom story. In January 2001, the Nigerian government conducted an auction for 5 Global System for Mobile Communications (GSM) provisional licenses and invited bids from institutional investors and individuals. Adenuga was one of the bidders, and through his company, Communications Investment Limited (CIL) – a special purpose vehicle, he bid for one of the licenses, which cost a pricey $285 million apiece. A month later, after paying a $20 million mandatory deposit, Adenuga was awarded a provisional license and was given a 14-day deadline to raise the balance of $265 million. For some reasons, Adenuga failed to meet his obligations and consequently lost his $20 million deposit in that ill-fated transaction. For a man of enormous financial resources like Adenuga, $20 million is a tidy sum. He was devastated by the loss, but he was hardly broken. Like the master strategist he has always been, he waited for the next opportunity to acquire a GSM license while running his banking, real estate and energy businesses. As fate would have it, a year later the Nigerian Communications Commission (NCC) invited bids for the Second National Operator (SNO) license. Adenuga paid another $20 million mandatory deposit fee for the license. This time around he won the license. Ironically, the SNO licence gave him a broader range of options, as Globacom was given the right to operate as a national carrier, operate digital mobile lines, serve as international gateway for telecommunications in the country and operate fixed wireless access phones. Adenuga’s biggest talent is his innate ability to transform mere ideas into successful and disruptive enterprises. One of the first services Globacom offered its Nigerian subscribers was the cheaper option of Per Second Billing (PSB), rather than the ‘per-minute’ model other mobile network providers had traditionally adopted. Experts had severally warned that the PSB model was too risky, too soon, and definitely unprofitable. But Adenuga proved them wrong. When Globacom launched the PSB on August 29, 2003, it caught on like wildfire. Nigerians rushed to the network in droves and other networks were forced to follow suit. Since then, Globacom has, through its various subsidiaries, pioneered several innovative services in Nigeria such as Mobile Internet, Blackberry subscription and Vehicle Tracking services. In an industry dominated by foreigners, Globacom is considered a truly Nigerian company competing favourably with more experienced rivals. It currently has operations in Nigeria, Ghana, Benin Republic and Cote d’Ivoire and is arguably the fastest-growing telecoms operation in Africa with an active subscriber base in excess of 20 million as at the end of 2010. In 2010, Adenuga spent over $1 billion on Glo 1 Submarine Cable, an undersea cable system, which stretches from Europe to Nigeria and has landing stations in 16 West African countries. Glo 1 will provide bandwidth to all telecom operators, carriers and corporations, connecting them to all the major destinations in the world. When he was in his late teens, Adenuga left the shores of Nigeria to study Business Administration at Northwestern University and Pace University in the United States. Even as an undergrad international student, the young Adenuga was already exploring ways of earning additional income. He took up a job as a taxi driver and worked as a security guard at night to pay his way through school. After acquiring his business degrees in the United States, he returned back home to Nigeria and inherited a small Sawmill operation from his father, a former schoolteacher who equally doubled as a small-scale entrepreneur. Adenuga worked at the sawmill but at the same time ventured into commodity trading and the importation of lace materials. It was through these diverse business concerns that he made his first million at the age of 26, and built the foundation for one of Africa’s largest privately held conglomerates – and personal fortunes. While most people are only aware of his brilliant achievements in mobile technology, Adenuga’s success in the telecom business was foreshadowed by his groundbreaking achievements in the construction, oil and banking sectors. When he was still in his twenties, he ventured into the construction business. Leveraging on his personal relationships with influential military officers, Adenuga was able to corner lucrative government construction contracts, which he executed satisfactorily. He soon built a reputation for quality service and prompt delivery and earned the trust of several top-ranking government officials. It was not long before Adenuga cemented his position as a top government contractor, and bigger contracts followed. As his construction business blossomed, Adenuga began scouting for more adventurous and sophisticated business opportunities. In 1989 he applied for a banking license and founded Devcom Bank, one of Nigeria’s earliest merchant banks. A year later, he founded Equitorial Trust Bank (ETB), which has grown to become one of the country’s most successful commercial banks. In 2005, following a Central Bank of Nigeria (CBN)’s directive that required all banks to raise their capital base to N25 billion, Adenuga merged ETB with Devcom to meet the new recapitalization requirements. The merged banks adopted the Equitorial Trust Bank name, and for a while it was one of the largest banks in Nigeria before Adenuga opted to sell it off in 2011 to Sterling Bank, a commercial bank in Nigeria. Adenuga is also one of the more recognizable players in Nigeria’s Energy sector. In 1991, his oil exploration company, Conoil Producing Limited, made history when it became the first indigenous company to strike crude oil in commercial quantities at a time indigenous companies with oil blocks were selling off to foreign investors. Conoil Producing is now one of Nigeria’s largest indigenous oil companies with at least 6 producing deep offshore assets and daily production of 100,000 barrels per day. In April 2011 when Shell’s Nigerian operations were divesting their upstream assets in the country, Adenuga acquired the oil major’s most prolific onshore oil block, OML 30 at a cost of $650 million. The ‘Bull’ equally has his tentacles in the downstream sector of the petroleum economy. In 2000, in the wake of a government-engineered privatisation exercise, Adenuga acquired a controlling stake in National Oil and Chemical Marketing Company Plc (NOLCHEM), a petroleum marketing company. At the time Adenuga acquired the shares, NOLCHEM was a shadow of itself. The company was on the verge of bankruptcy; its stock was trading at an all time low, and several of its retail outlets were dysfunctional at best. Within a year, Adenuga turned around the fortunes of the company. NOLCHEM, which Adenuga subsequently renamed Conoil PLC is now one of Nigeria’s largest petroleum marketers. Conoil has over 300 retail outlets spread across Nigeria, and is one of the top dogs at the Nigerian Stock Exchange. The company has a market capitalization in the region of $200 million. 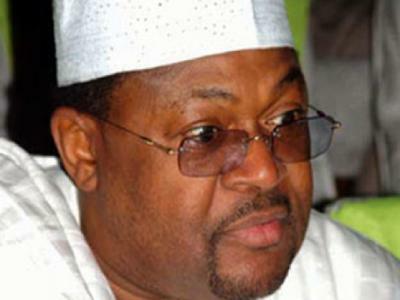 Adenuga has said on occasion that he is not motivated by the prospects of wealth. “I am not interested in being the richest man in the world. If I can be seen as adding value to Nigerians and Africans, it is more fulfilling,” he once said to a Journalist during a newspaper interview. The serial entrepreneur launched a foundation in his name to focus on entrepreneurship development, education, health and rural development. “The idea of a foundation is something I have been considering for a long time.I have worked hard most of my life and I believe I have been very fortunate; although I must say I am a great believer in the man who said the harder you work, the luckier you get,” he wrote on his website. One of the programmes offered by Mike Adenuga Foundation is the Mike Adenuga Fellowship programme. The foundation award undergraduate scholarships, postgraduate and research fellowships, to educationally gifted Africans who desire to contribute to the development on the continent, and who have the potential to become innovators and development drivers in their chosen fields.